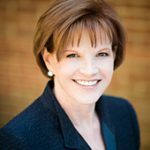 What Does a 40-Year Look Back Tell Us About OOH Media? 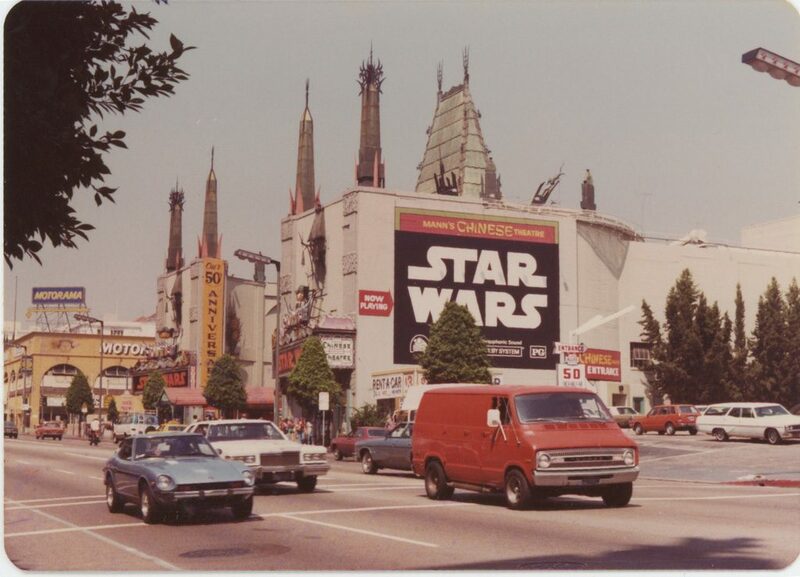 Looking back at 1977 – when I began working for the out of home (OOH) advertising business – that year is amazingly revealing, even prescient, about the future power of the oldest mass medium. In February 1977, a magazine article about nascent Apple was published in Kilobaud (now defunct). The author, after lunch with Steve Jobs and Steve Wozniak, drove to Jobs’ parents’ home in Palo Alto to see a PC board on a workbench in the garage. Four decades later, the financial press hints that Apple’s market capitalization could hit a trillion dollars. Apple, incorporated January 3, 1977, is now the No. 2 OOH advertiser, next to McDonald’s. 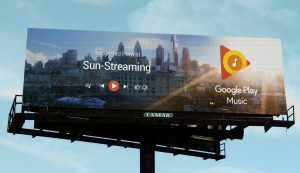 The top 20 brands for OOH ad spend include Google, Microsoft, and Amazon. 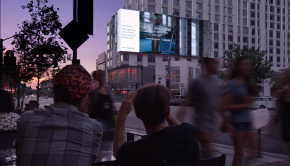 In 2005, Apple Computers was honored by the OBIE Hall of Fame for its creative OOH ads. Ten years later, Apple won five Gold Lions at the Cannes international festival and a Grand Prix in OOH advertising. 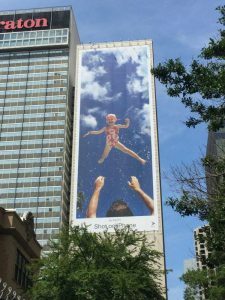 Judges liked Apple’s crowd-sourced creative displayed on billboards: photos by iPhone owners around the globe, including in Maine (which has no billboards). “The next time someone asks Maine photographer Kari Grosser Herer where they can see her work, she can direct them to New York, Toronto, or Mumbai,” said Maine’s Press Herald. Roots — the ABC network mini-series based on Alex Haley’s book — aired in January 1977. The final segment attracted a bigger audience than the 1977 Super Bowl and top-rated shows Laverne & Shirley and Happy Days. In 1977, the top-rated regularly scheduled TV show was Laverne & Shirley, with a rating of 31.6 (rating is percentage of total viewing public). The top-rated show on ABC in 2016 was Modern Family, with a rating of 2.3. Live sports did better; Sunday Night Football on NBC got a rating of 6.4. While pro football games are among the most watched on TV, continued ratings woes rattle the networks. People still watch TV, but the audience has splintered. Netflix now has more paying subscribers in the US than all of the top cable TV companies, combined. 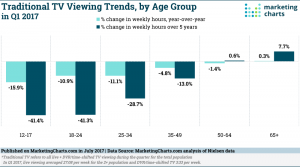 Teens and young Millennials’ traditional TV viewing declined more than 40 percent during the past five years. In 1977, there were three main network channels. Now, the average US household gets 190 channels, says Nielsen. OOH grew in revenue from $609 million in 1977 to nearly $8 billion. 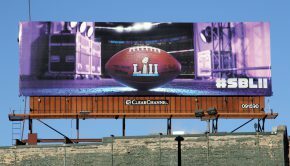 “Lamar Advertising Company’s digital network has 45.5 million daily viewers (impressions) compared to basic cable top-10 total daily viewers with 8.59 million viewers,” says Sean Reilly of Lamar, chairman of the Outdoor Advertising Association of America (OAAA). More Americans drive more miles and are exposed to more ads outside the home. Annual vehicle miles driven more than doubled since 1977 (from 1.41 to 3.17 trillion miles in the US in 2016). James Taylor won another Grammy in 1977, as best male pop vocalist. Forty years later, I saw him in concert July 14 at the pro-baseball stadium in Washington, DC. At that sold-out show, Taylor spoke in detail about the importance of the billboard posted on Sunset Strip when his first album was released. 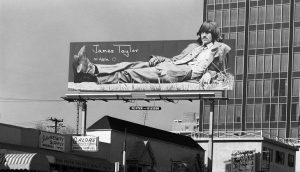 As the Grammy-winning artist recalled his billboard, the concert jumbotrons showed the vintage Foster & Kleiser billboard in Los Angeles. Then, and now, billboards are part of our culture. In late 1977, Harvey Milk was elected to the Board of Supervisors in San Francisco. His election was ground-breaking because Milk was openly gay. Sean Penn would win an Oscar in 2008 portraying Milk, who was assassinated in office. By 2014, Milk was on US postage stamps. The Navy, which once banned gays, named a ship for him. 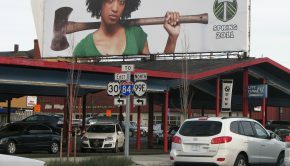 Billboards reflect change. In 2016, the President of the United States designated the Stonewall Inn in New York City as a national monument due to its historic significance in the gay-rights movement. 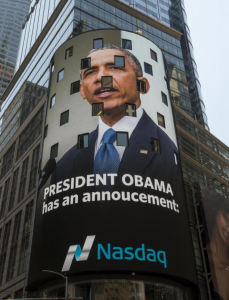 President Obama made the announcement on the iconic NASDAQ sign in Times Square. 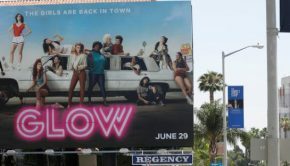 Borrowing a well-turned phrase from Rick Robinson at the Billips ad agency, movie studios continue to boldly promote films with robust investment in OOH ads. Since then, Ford the actor wrote the forward to a book called Photo Ark. It features still pictures taken by award-winning National Geographic photographer Joel Sartore, whose life’s mission is to prevent animal extinction. Yes, we are. 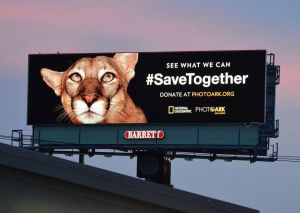 In 2017, more than 72,000 donated OOH ad displays featuring Photo Ark images and the call-to-action hashtag #SaveTogether. Forty years after I walked in the door at Naegele Outdoor Advertising in Minnesota, the oldest mass medium still does well by doing good.